President Donald Trump has said immigrant gang members are “not people” but “animals,” but the media omitted the “gang members” part of the statement to attribute his remarks to ALL immigrants, migrants and/or asylum seekers. During a roundtable discussion that touched on so-called sanctuary cities, MS-13 gang members, the federal “catch and release” practice, and policies in California related to the detention of immigrants. Some followed the lead of the NY Times or CBS, noting that Trump called “some” immigrants animals. Of course, the President is speaking of these violent criminals, particularly linked to MS-13 and other radical groups. This is why the “Fake News” term resonates with folks. 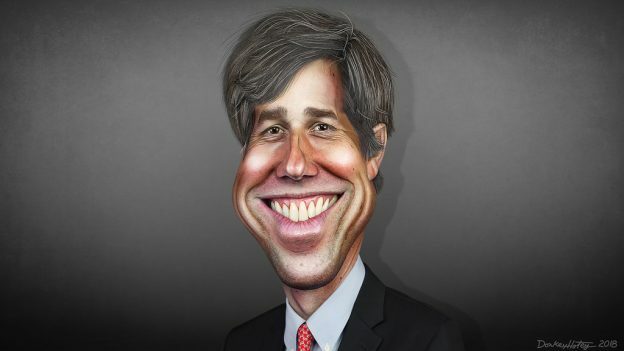 2020 candidate Robert ‘Beto’ O’Rourke led the outrage campaign, calling Trump a Nazi, likening him to Hitler.